Today we are announcing support for both Citrix Endpoint Management and Microsoft Intune for Tableau Mobile using the AppConfig approach. For many of our enterprise customers, this means that you can now securely deploy, configure, and manage Tableau Mobile through these mobile device-management (MDM) platforms, also commonly known as Enterprise Mobility Management (EMM) platforms. With this announcement, alongside the recent release of the Tableau Mobile for BlackBerry Dynamics platform and our long-standing support for MobileIron and VMware Airwatch, Tableau Mobile now supports the most prevalent MDM platforms in the industry, giving you more choices for which platform to take advantage of. Secure communication with Tableau Server: If you use Tableau Server, first configure your network so mobile users can securely connect to confidential data. For details, see secure communication between Tableau Mobile and Tableau Server. Create a per-app Virtual Private Network (VPN) profile: For maximum security with MDM platforms, we recommend that you use a VPN. Then apply specific traffic rules to Tableau Mobile by creating a per-app VPN profile. The following resources from MDM vendors will help you configure their VPN options. Add the Tableau Mobile app to your internal app store: To make Tableau Mobile available to users from your internal app store, add it to your MDM catalog using the guidance outlined in these documents. Customize Tableau Mobile using AppConfig (for iOS only): Custom app configuration is controlled by key/value pairs, which each MDM system handles a bit differently. To get started, refer to your MDM provider's help documentation. For the app configurations that are available for Tableau Mobile, see the complete list of key/value pairs here. For organizations that haven’t invested in a MDM solution, users can simply download the Tableau Mobile app from public app stores, including iTunes and Google Play, and then connect directly to either Tableau Server or Tableau Online. Tableau supports both of these enterprise deployment strategies. 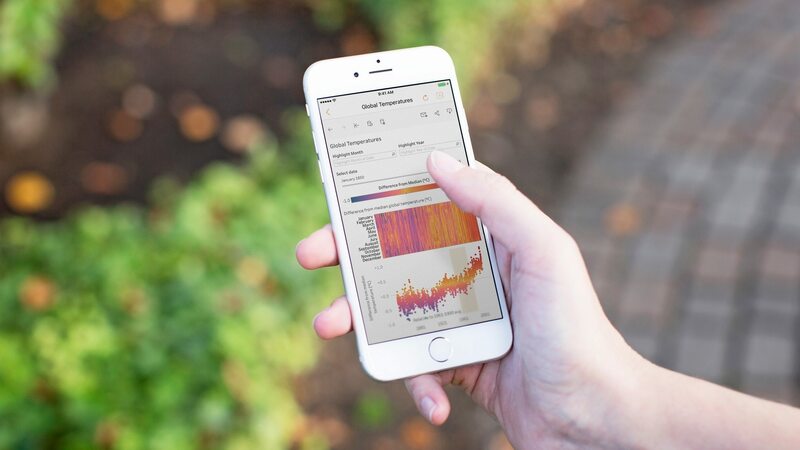 With the incredible proliferation of data that organizations can use to drive their business forward, Tableau Mobile offers the perfect way to visualize, analyze, and leverage this data so that you can optimize the organization's growth potential and keep your enterprise devices and data secure at all times. We encourage you to work with your IT admin team to download Tableau Mobile, and add it to your organization’s internal app store today! To learn more about how to plan your Tableau Mobile deployment, download our whitepaper.